Beer and wine. Music. A huge crowd of friendly, sociable people, ready to mix, mingle, kick back and chill. And of course about 3,000 lobsters, shipped in yesterday from Nova Scotia. Those were the ingredients for today’s Lobster Fest. In just 5 years, the Rotary Club event has become a major highlight on the Westport calendar. It’s the biggest block party in town. It’s Compo and community at its best. And — best of all — it raises about $75,000, which the Rotary Club plows right back into good causes locally, nationally and abroad. If you weren’t there, you missed a fantastic party. And some really amazing lobsters. Rotary Board member Rick Benson claws State Representative Gail Lavielle. 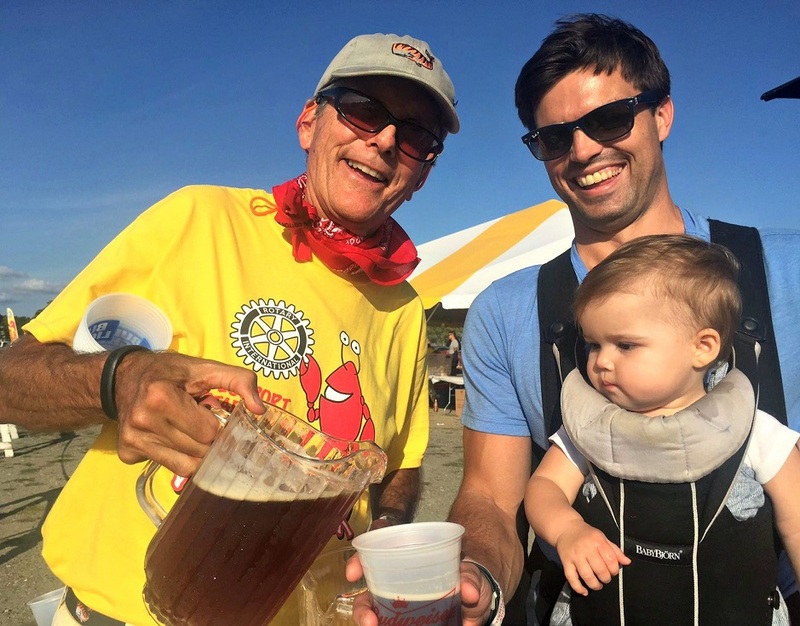 Homes With Hope CEO and Lobster Fest volunteer Jeff Wieser pours a beer for 1-year-old Andy Wolf. Her dad, Jim, looks on amused. 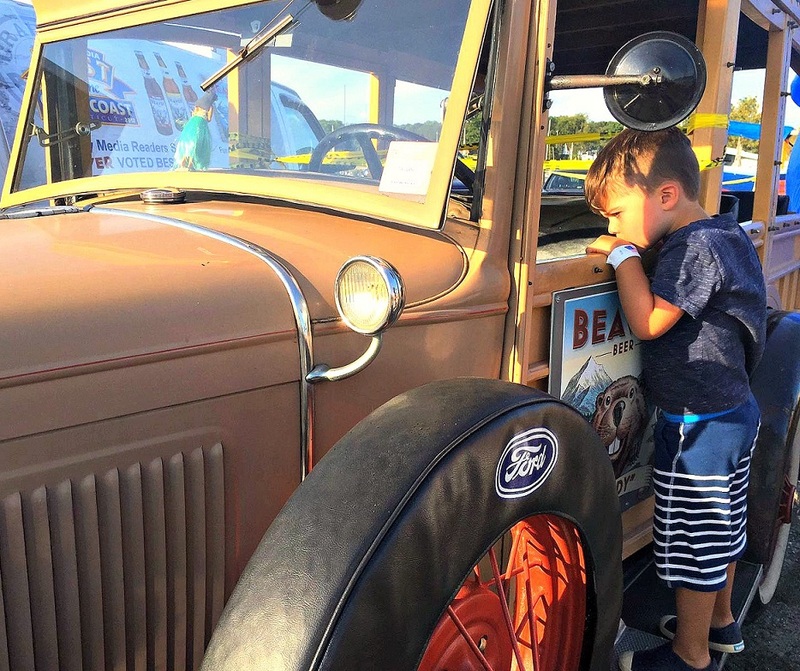 Nearby, a slightly older youngster explored the Beaver Beer car. 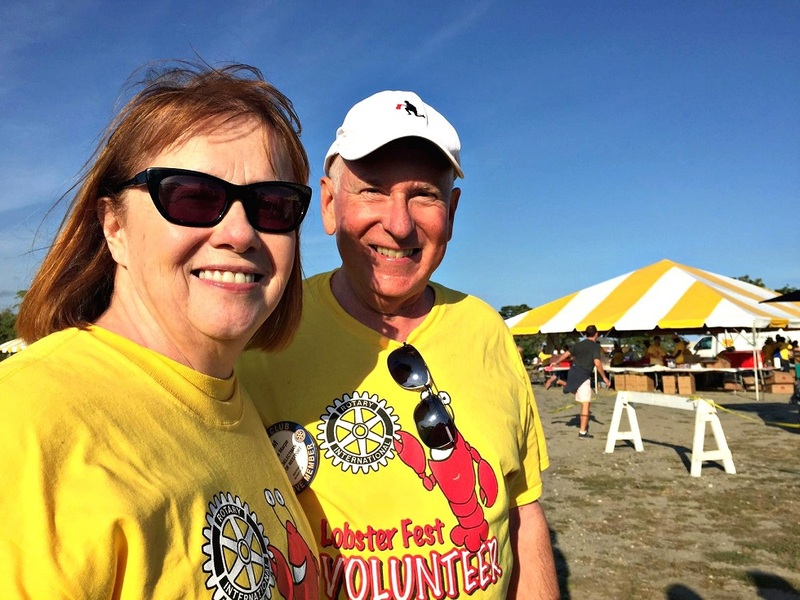 First Selectman Jim Marpe and his wife Mary Ellen were Lobster Fest volunteers. 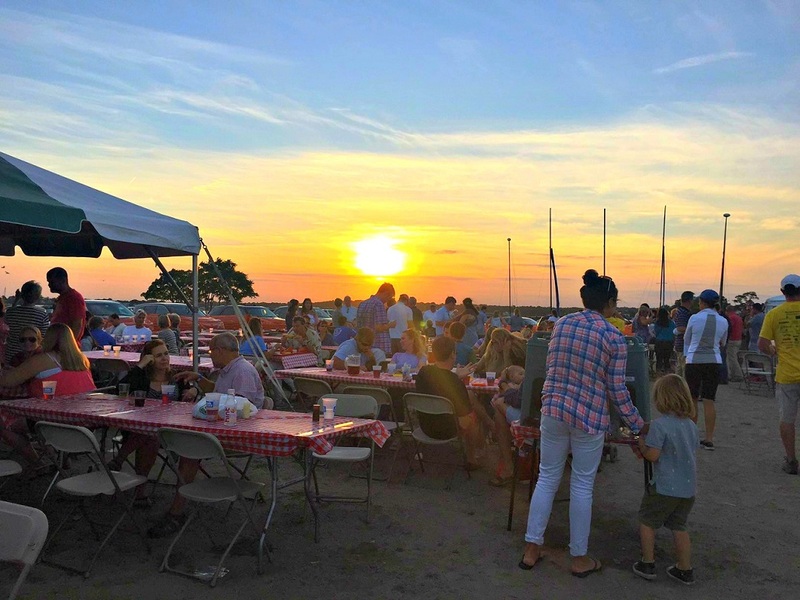 The sun set on Lobster Fest, but no one wanted to leave. At the end, not much remained of the 3,000 lobsters. 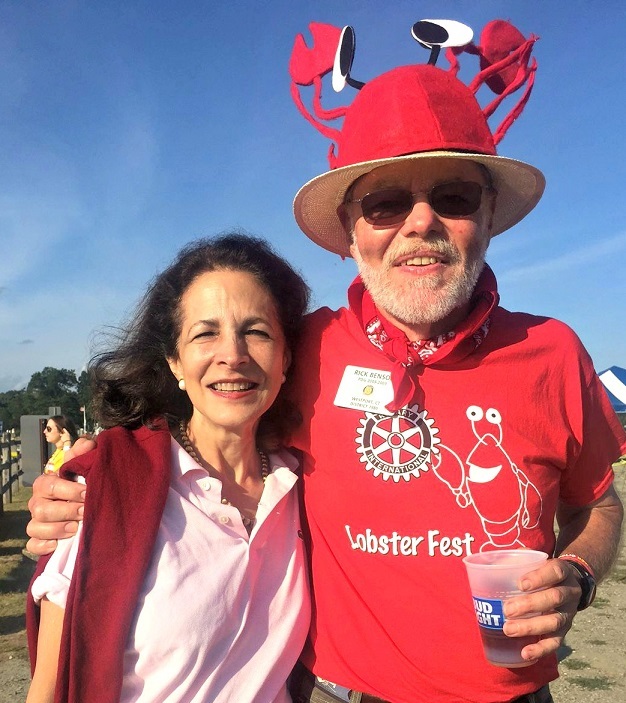 This entry was posted in Beach, Organizations, People and tagged Beaver Beer, Jim Marpe, Lobster Fest, Rick Benson, Westport Rotary Club. Bookmark the permalink. A phenomenal event – so well organized – and all in support of so many deserving charities. This is a must-attend event each year in Westport. Congratulations to the Rotary for all their efforts. Sounds like a great event but boo to having lobsters from Nova Scotia. They should have used Maine lobsters. Maybe you could build a fence? Nothing against Nova Scotia, I just used to live in Maine. 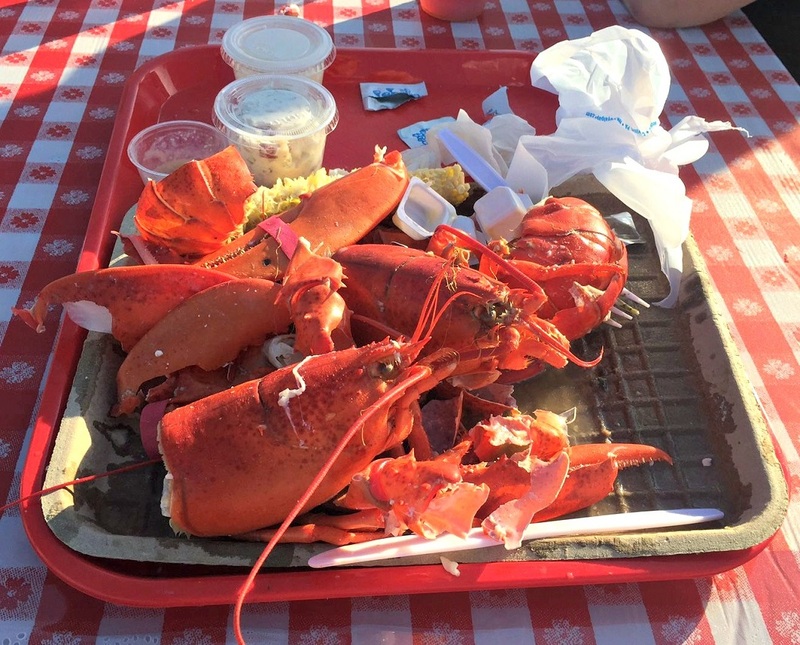 Maine, New Brunswick, Nova Scotia are all so lovely — as are the lobsters, all from the same family! 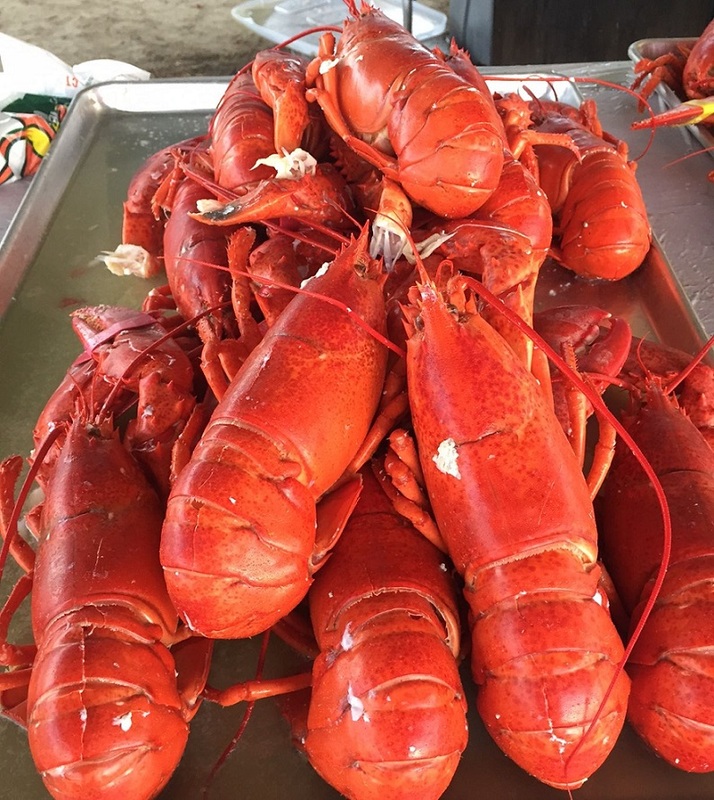 Now I’m hungry for one… Pacific lobsters aren’t quite the same! Awesome event and the BEST lobster I’ve had all summer! Kudos to all of the Rotary members and 200 volunteers that made this such a success!